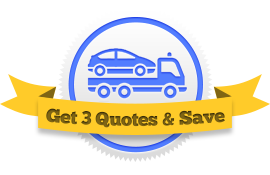 Get the lowest quotes possible by comparing three agents at once! Renewing Your Towing Insurance? Get a Better Quote Today! When’s the last time you reviewed your insurance policy? If you’re like most towing companies, you’ve used the same company to do your insurance for several years now. You know that they keep charging you more and more, but it’s such a hassle to change companies that you just accept the loss. But comparing quotes from towing insurance agencies to get a better rate doesn’t have to take more than a few minutes. We’ve made the process easy by bringing the agents to you. You fill out one form and we connect you with three agents who will then compete for your business. And best of all, this service is free for towing businesses to use. After you submit your information, our agents will look at the details of your business to calculate a quote for you. They’re looking at a few different things. The type and number of towing vehicles you own. Are your trucks predominantly light, medium, or heavy duty? How many underlift wreckers or rollback carriers do you own? Generally, the larger and more expensive the truck, the costlier it is to insure. The type of services you provide and the percentage of your business those services represent. A business that does auto repair can expect a different quote from a business that mostly does repossession. Same thing with roadside assistance, salvage, impound, rotation, etc. What are your hours of operation? 24-hour businesses are more expensive to insure than businesses that close at six o’clock every day. What do you tow? Vehicles? motor homes? Boats, trailers, or heavy equipment? Once again, the more expensive the thing you’re towing, the higher your quote will be. What safety programs does your business follow? One of the best ways to reduce the costs of insurance is to enroll in state or federal safety programs and let your insurer know about them. As you can see, the average towing insurance rate is dependent mostly on the type and size of your business. Those are things outside of your control. What you do have power over, though, is how diligently you search for the best quote. The number one thing you can do to compare mulitple insurance agencies is to use a service like ours that does the searching for you. There’s no reason not to try it. Get started now!